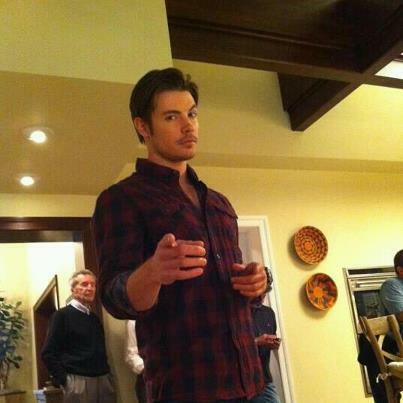 Josh on Dallas set. . Wallpaper and background images in the Josh Henderson club tagged: josh henderson actor dallas tnt john ross ewing iii set.